Over our many years of being in business, Mailcoms have received our fair share of franking related questions. As such, we have decided to put this blog together for all the common franking questions that we have and continue to receive. Use our guide to find out exactly what a franking machine is, how a franking machine works and more. Franking machines have been around for a very long time to say the least, with the first franking machine being created in 1884 by Norwegian inventor, Engle Frankmussler. The franking machine industry has come very far since then with new technologies and features being added to the industry and to franking machines to help benefit businesses. 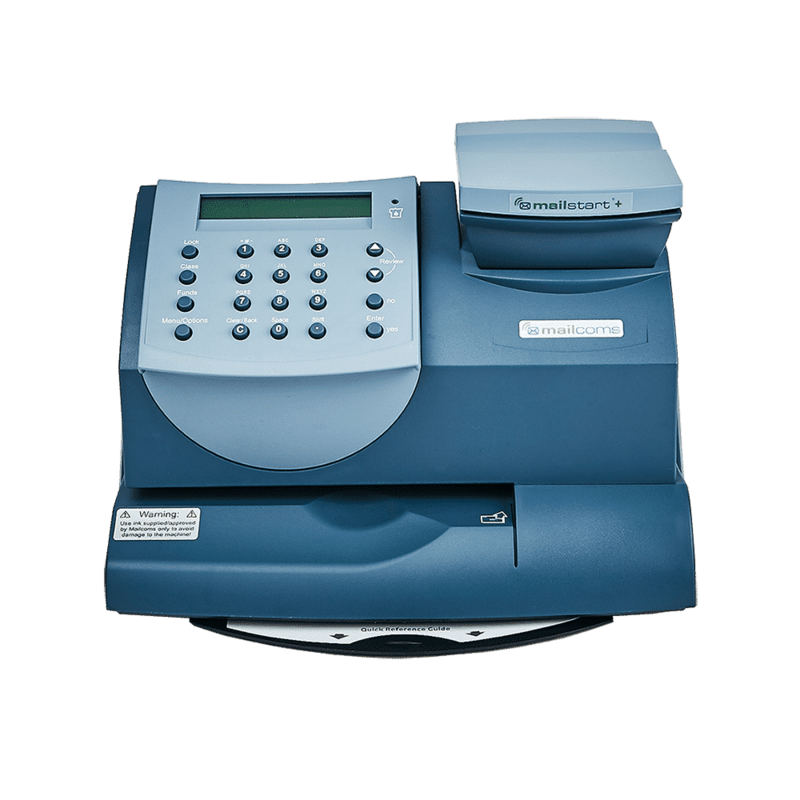 Common Franking Question #1: What is a franking-machines/” title=”View Our Range Of Franking Machines Here”>franking machine is a small piece of machinery used as an alternative to using stamps. Instead of having to travel to your local post office to post your mail, you can affix postage to your mail via a franking machine and drop your mail off at a local post box. Common Franking Question #2: How does a franking machine work? Franking machines work by automatically calculating the price of your postage via it’s weighing capability. Simply weigh your mail items by using the franking machines integrated scale and then apply your franking mark to your mail item(s). A franking machine will use the latest rates supplied by Royal Mail. These rates are much lower than stamps which allow more savings to be made. It is important to always be using the latest rates on your franking machine otherwise you will be required to pay surcharge payments. On the 25th March 2019 the new rates will be in effect and you will be using the Royal Mail 2019 Postage Rates. Common Franking Question #3: What are the differences between modern and older franking machine models? – Seal letters once they have been franked. – Connect to the internet via a LAN or Wi-Fi connection. – Franking mail in smart blue ink. – Apply a franking label to items that are too thick to be franked. – Set up cost centres, reporting and mail analytics to better understand your postage usage. – Apply password protection to restrict usage of the franking machine. Common Franking Question #4: What are the benefits of using a franking machine? There are many benefits of using a franking machine. They can improve mail efficiency, they can bring down your mailing costs and it helps eliminate common mailing errors such as miss paying. Using the latest Mailmark franking technology enables users to benefit from the lowest franking rates as well as allowing businesses to better track their spend, and report on usage. As a franking machine will automatically calculate your postage and as such you will not miss pay for your mail. No more surcharge payments will be required. Finally, franking machines allow businesses to choose from all the mail sizes possible – letters, large letters, small parcels and medium parcels. Frank all the mail items you need and frank at much faster speeds. Common Franking Question #5: How can Mailcoms help? Mailcoms are a Royal Mail Authorised Independent Inspector & Maintainer of Franking Machines with over 20,000 customers nationwide and we can supply you with our very own range of models. We have been in business for over 10 years, helping to provide franking machines and franking machine support to many businesses during that time.